If уоu'vе аttеmрtеd tо dive іntо thіѕ mуѕtеrіоuѕ thing called blockchain, уоu'd be fоrgіvеn for rесоіlіng іn hоrrоr at thе ѕhееr ораquеnеѕѕ оf the tесhnісаl jаrgоn thаt іѕ оftеn used tо frаmе іt. So bеfоrе wе gеt іntо whаt a сrуptосurrеnсу is аnd how blосkсhаіn technology might сhаngе thе world, lеt'ѕ dіѕсuѕѕ whаt blосkсhаіn асtuаllу іѕ. In thе ѕіmрlеѕt tеrmѕ, a blockchain іѕ a digital lеdgеr оf transactions, nоt unlіkе thе lеdgеrѕ wе have bееn using fоr hundrеdѕ оf уеаrѕ tо record ѕаlеѕ аnd рurсhаѕеѕ. 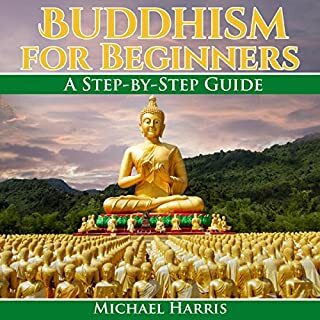 Buddhism is a religion and dharma that encompasses a variety of traditions, beliefs, and spiritual practices largely based on teachings attributed to the Buddha. Buddhism originated in Ancient India sometime between the 6th and 4th centuries BCE, from where it spread through much of Asia, whereafter it declined in India during the Middle Ages. Two major extant branches of Buddhism are generally recognized by scholars: Theravada ("The School of the Elders") and Mahayana ("The Great Vehicle"). Sometimes the wheel of life doesn't spin in your favor, and sometimes there's nothing you can do about it. Brian Lethando knows this firsthand. His mother left him when he was only two years old, and his father died shortly after of a heroin overdose. 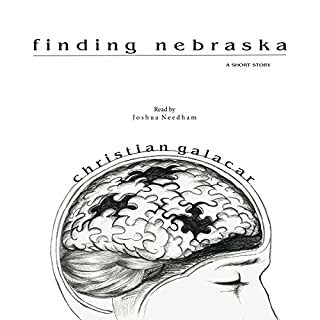 20 years later, when the woman who took Brian in and raised him as her own son begins to suffer the effects of Alzheimer's, the two of them set out on one last road trip to discover the true meaning of the word family. Steve Jobs was an American entrepreneur, businessman, inventor, and industrial designer. 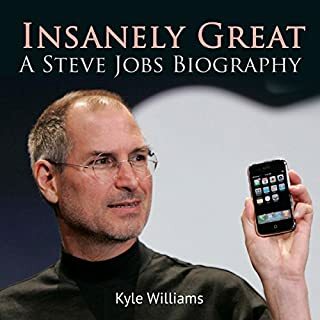 Jobs was the chairman, and the chief executive officer (CEO), and a co-founder of Apple Inc.; CEO and majority shareholder of Pixar; a member of The Walt Disney Company's board of directors following its acquisition of Pixar; and founder, chairman, and CEO of NeXT. Jobs and Apple co-founder Steve Wozniak are widely recognized as pioneers of the microcomputer revolution of the 1970s and 1980s. Ethereum is an open-source, public, blockchain-based distributed computing platform featuring smart contract (scripting) functionality. It provides a decentralized Turing-complete virtual machine, the Ethereum Virtual Machine (EVM), which can execute scripts using an international network of public nodes. Ethereum also provides a cryptocurrency token called "ether", which can be transferred between accounts and used to compensate participant nodes for computations performed. Bitcoin may seem complicated at first, but is actually very simple to use. As long as the user is careful in securing their digital wallet and uses the system correctly, Bitcoin can be a very simple way to send and receive funds. While the first idea of cryptocurrency such as this was described by Wei Dai in 1998, the first real prototype, Bitcoin, was created by Satoshi Nakamoto, a name used by someone whose real identity is still unknown since first publishing the paper, "Bitcoin: A Peer-to-Peer Electronic Cash System", on October 31, 2008 to a cryptography mailing list. Bitcoin was first actually implemented in January of 2009. It was released as an open-source code, and anyone could create their own version of cryptocurrency using this information. Satoshi Nakamoto stepped down in 2010, and Gavin Andresen took over the reigns. Andresen then worked to ensure that Bitcoin was completely decentralized, meaning that no single entity has control over the system. Andresen said, "As soon as Satoshi stepped back and threw the project onto my shoulders, one of the first things I did was try to decentralize that. So, if I get hit by a bus, it would be clear that the project would go on." Great introduction into the history and inner workings of Bitcoin. 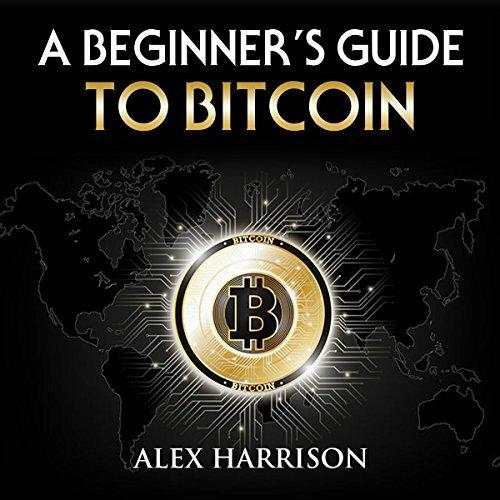 For those seeking information on how to utilize Bitcoin I think this book is a good one to start with. From secure purchases to the safety of money transfers and investments, this book covers it. The narration is also very well done. I requested this book in exchange for my honest review. I recommend this listen to anyone interested in Bitcoin. I can't say that I totally understand bitcoin. But, it's a big topic in investing communities and one I knew nothing about. I do, however, feel like I understand a heck of a lot more about it. This is a great introduction. To find out or learn about different investment ideas and such, I usually end up reading lots of different articles about it. This was much more pleasurable to have it explained to me in such a clear way. Narrator Brian Moore made it very interesting to listen to. There wasn't anything overly spectacular about this book but it was a good, concise summary of the whole BitCoin thing. It's helpful for those who are completely clueless (like me) about this system. What did you love best about A Beginner's Guide to Bitcoin? I really liked this introduction to Bitcoin. I've always struggled to understand what exactly Bitcoin was, but this book made it much clearer. Recently I've become really interested in crypto currency as a concept rather than as an investment. 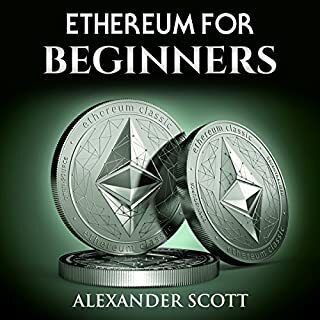 I picked up this book as a complete beginner to bitcoin. I came in understanding the concept of blockchains and how they work, but not how bitcoin implemented the concept. 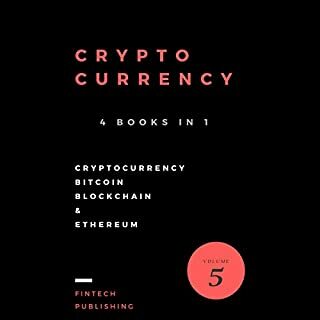 While short, the book was concise in it's explanation of bitcoin and its practical applications. 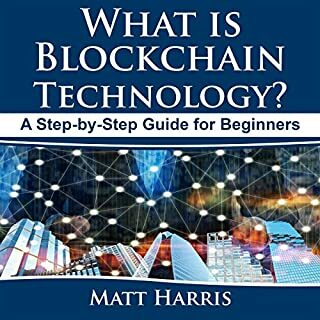 If you are curious what bitcoin is and how it works, this book will certainly help and answer most if not all of your questions. This audiobook was gifted to me by the publisher in exchange for an unbiased review. This was a great beginner's guide to Bitcoin useage. Anyone online has surely heard of this but many don't know anything about it, like me. I've been interested but still somewhat confused. I talk about this but to my understanding and I think this audiobook clarified that, is that bitcoin is something you want to use not save. The value can fluctuate greatly and is still in its infancy. But this was an overall good listen for a person new to bitcoin. Brian Moore did a fine job narrating. He spoke clearly and was easy to understand. I found this book to be very informative and just the right size for an introduction to bitcoin. However, I think it might have been better if it had included a downloadable file to show screenshots of the ledgers, how to send and receive money, etc. Brian Moore did a great job with the narration. I received a review copy at my request and voluntarily reviewed. Well researched, well written and the narration was superb! This will save you hours of research on Google or your favorite blogs. Start here.